Welcome to the Kurilpa Toddler room! In the Toddler room, we believe each child is unique and special and it is important that they feel valued, cared-for and have a sense of security from those around them. 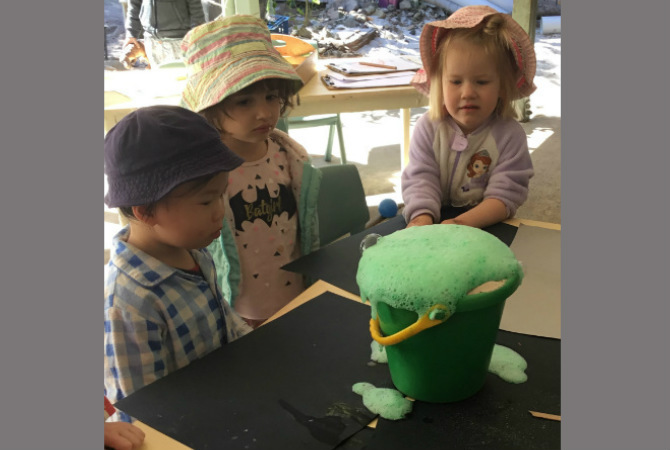 By taking observations and interacting with the children, we act as a guide or facilitator to enhance their learning and development through play. 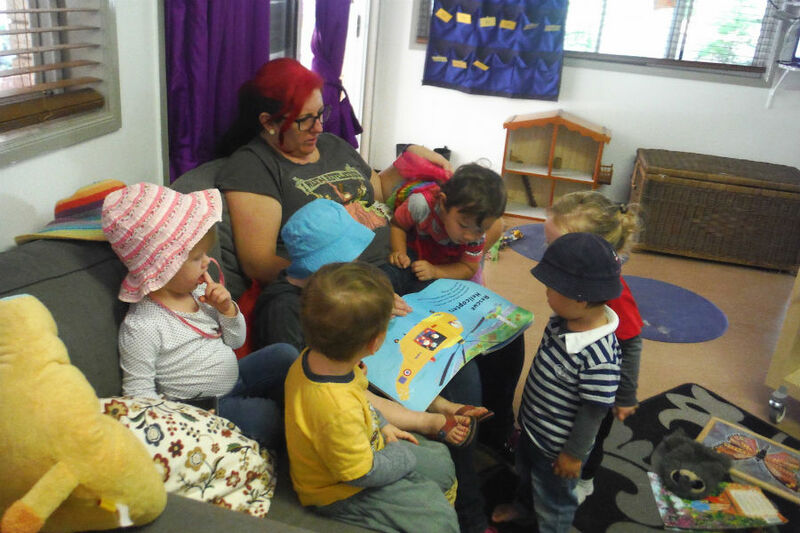 The Toddler community is where self help and self confident skills shine! 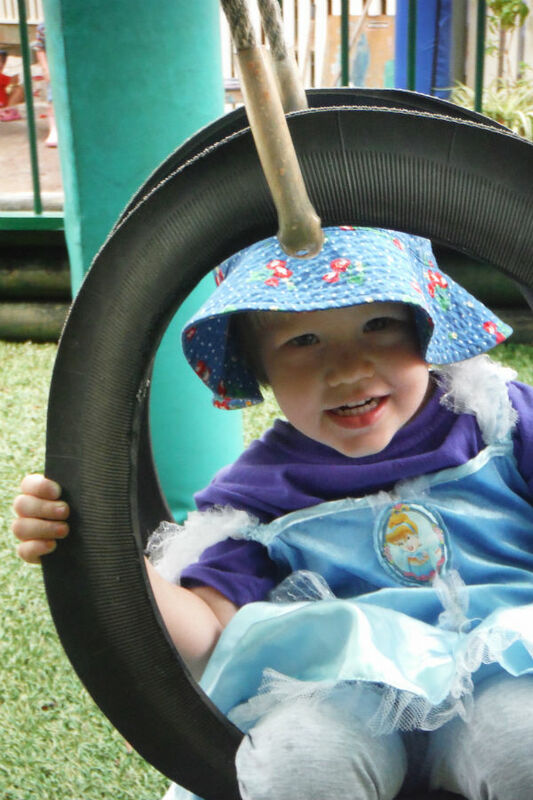 We highly value our Toddler children’s abilities and believe in fostering their sense of achievement through supporting all challenges they may face. 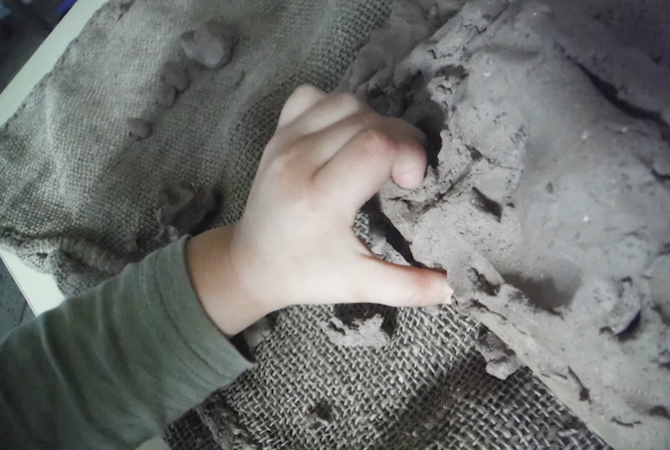 Through observation and conversation we are able to provide a unique program where the environment is valued and used as the third teacher. 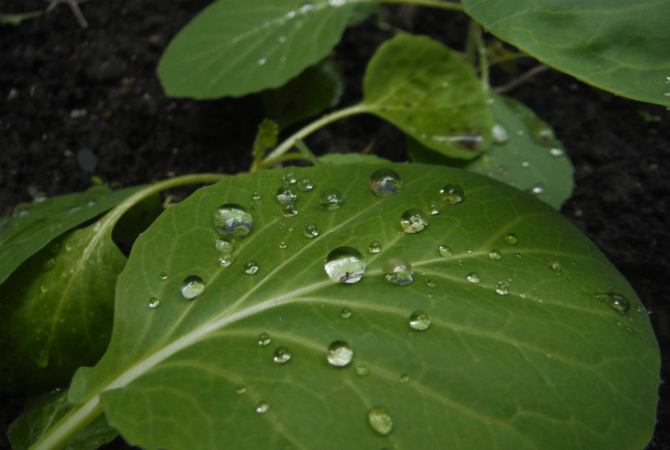 We firmly believe in cultivating a strong connection with nature, spending as much time as possible in our amazing back yard and local community. Through developing each child’s sense of self, we are able to support their continuing journey on the road to understanding who they are, what they can accomplish and who they might become. We believe in creating a learning community that encompasses all opportunities and input from Kurilpa, home and the wider environment. 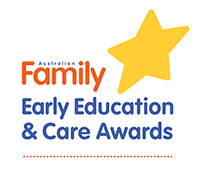 Further information about the care and education of our Toddler children can be found in Education and Wellbeing. We look forward to working alongside you and your family during your time with us in the Toddler Room. Bring: – A clearly labelled water bottle (this is to be taken home each night to clean and refill). The drink box usually lives on a shelf in the room toward the verandah door. – A clearly labelled hat (Kurilpa hats are available for purchase through the office). These are also to go home once a week for washing. All hats are to be hung on the pegs out on our verandah. 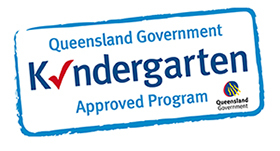 – A bag containing your child’s sheets (a comforter blanket in winter) for use while at Kurilpa. These are to be taken home once a week for washing. There is a basket near the kitchenette doors to keep them. Sheets can be purchased from the centre or sourced from elsewhere. – A bag containing your child’s spare clothes (four pairs), nappies (at least six a day), underwear for toilet training (6-8 pairs). All items must be placed within your child’s locker, their bag stowed in the labelled cupboard underneath the lockers in the bathroom. 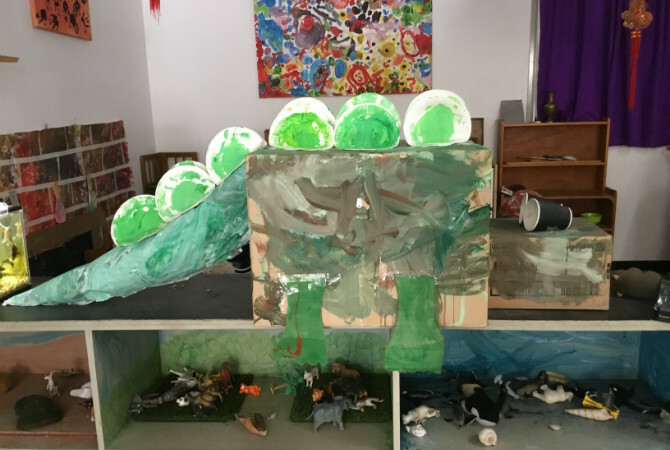 Our routine is entirely flexible to children’s needs/interests, weather conditions and special occasions, and is reflected on and reviewed regularly. 7.30am Centre opens with all children starting their day in the Toddler room and Under 3’s yard. 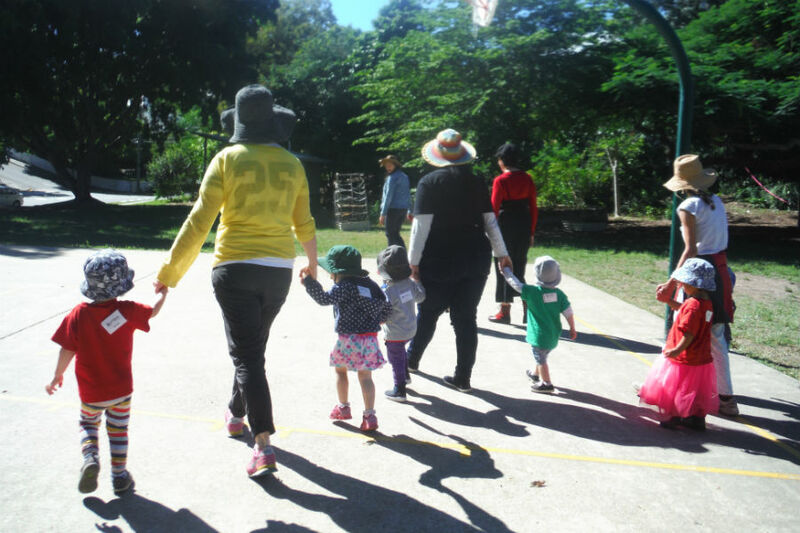 8.00am Kindy children move to the Over 3’s yard. 9.30am Progressive Morning Tea. One table in the studio setup with fruit and milk for children to eat as they learn to recognise they are hungry. Gentle reminders to all children to join in until 10:30am. Apply sunscreen to all children as per UV rating requirements. 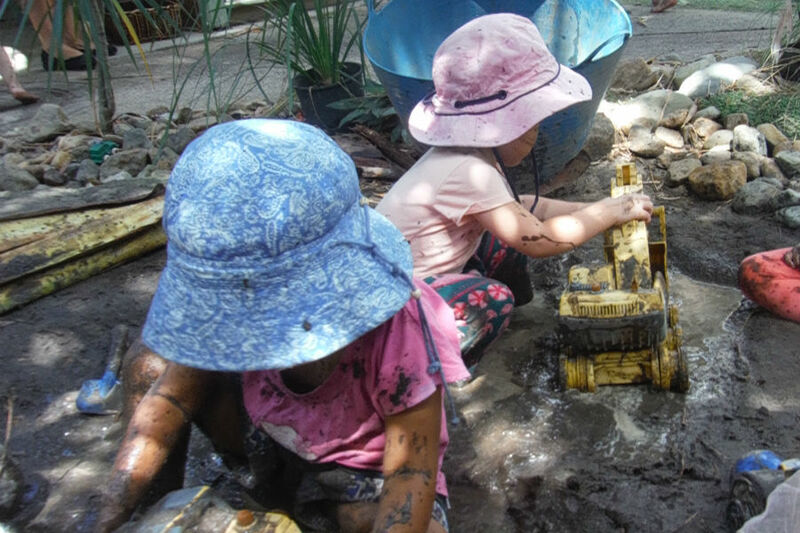 Indoor/Outdoor play making use of all learning spaces. Toileting reminders every 15/20 minutes. 11.00am Tidy up inside ready to make lay out beds with children working on their self help skills to make their own beds. 11.15am Tidy up and wipe down tables in the studio. Children to help setup up tables with tablecloths, flowers, plates and cutlery for lunch. 11.30am Sitting down in a shady spot (indoors or out) ready for group time of singing, games or books to be read. 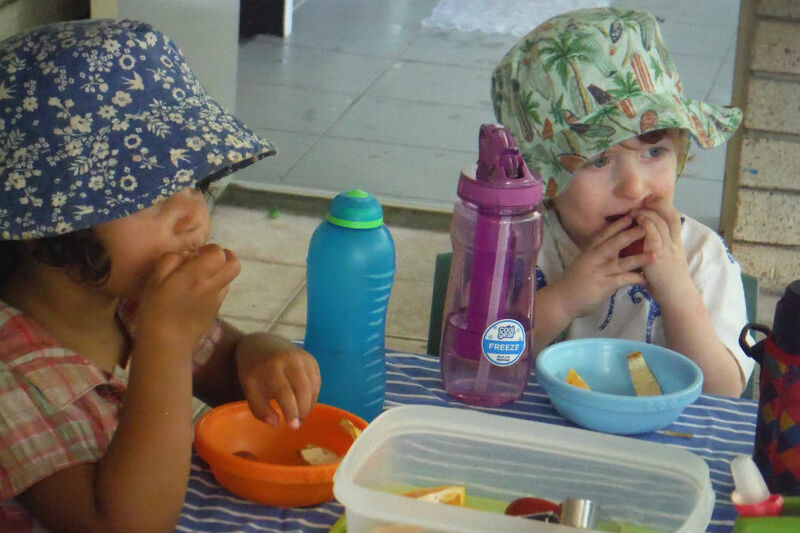 11.45am Hats away and washing hands for lunch, collecting drink bottles and choosing a seat for lunch, toddlers to serve themselves a piece of bread while they wait for friends. 12.15pm As finished lunch, water bottles away, bowl and utensil on trolley. Post lunch toileting and nappy change. Sitting on the mat for a story before bed, children can choose to go bed as they recognise their tiredness level. 2.00pm As awake, nappy change and toileting, sunscreen and afternoon tea (must wait 20min after applying sunscreen before heading outside as per UV rating needs). 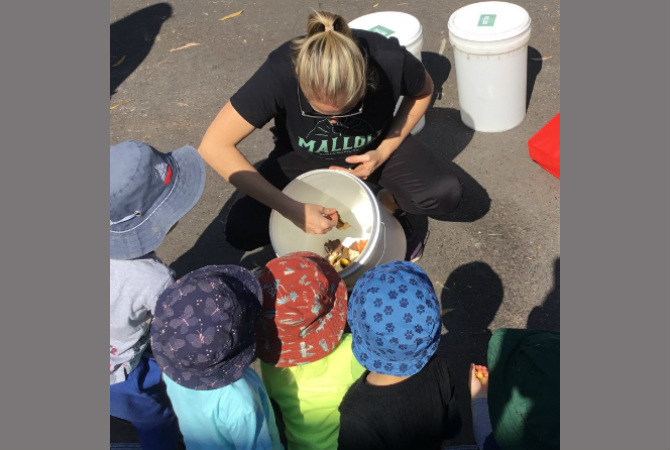 3.00pm Toddlers to pack away their sheet and place them in sheet basket, educators to pack beds away in cupboard, outside play. 4.00pm Pack up studio for the day. 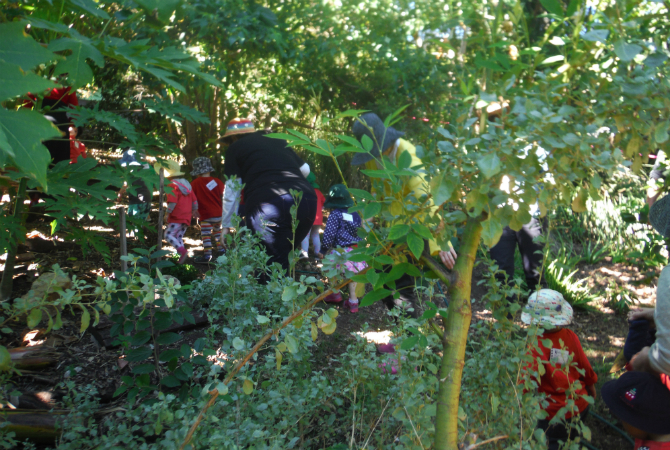 4.15pm Pack up sandpit and mud kitchen. 4.30pm Pack up yard, cover over climbing and sandpit, blocks away and yard is tidy. Head inside during cooler months (May – August). 4.45pm Washing hands ready for late snack. 5.15pm Make way up to big yard/Kindy room depending on weather. 5.40pm All children and families to have exited premises by 5:40, centre closed at 5:45pm. We highly value the orientation process in the Toddler room as a time for both you and your child to feel comfortable within our Kurilpa community. We recommend between four to eight visits before your official Kurilpa start date. Beginning with an hour either at the beginning of the day’s program (9.30 – 11.30am) or in the afternoon (3.30 – 4.30pm). 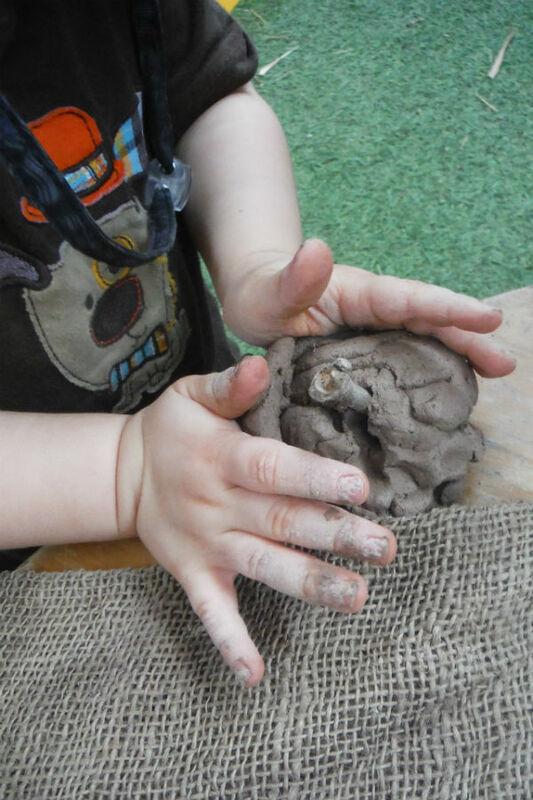 These initial sessions will build up to leaving your child to confidently explore on their own for a short visit, whilst you make use of our Staff Room to be on hand if reassurance is needed. Then, when you and your child are confident and ready, Toddler life at Kurilpa can begin! We do recommend the first week of your child’s enrolled days at Kurilpa be a short session (8.00am – 3.00pm, 9.00am – 4.00pm) to ensure your child feels confident in their Kurilpa routine. In the Toddler room, it could be said our main focus areas lie in self-help and big developmental milestone achievements! Yes, we’re the toilet training room. We are happy to go at your child’s pace, building their confidence and celebrating achievements large and small. We’re also the room where the beginnings of self-help skills really start to emerge, from making or unmaking our beds at rest time to setting the table at lunch – all types of small tasks help us gain a sense of achievement and help us feel proud of our roles and place within the Kurilpa environment.